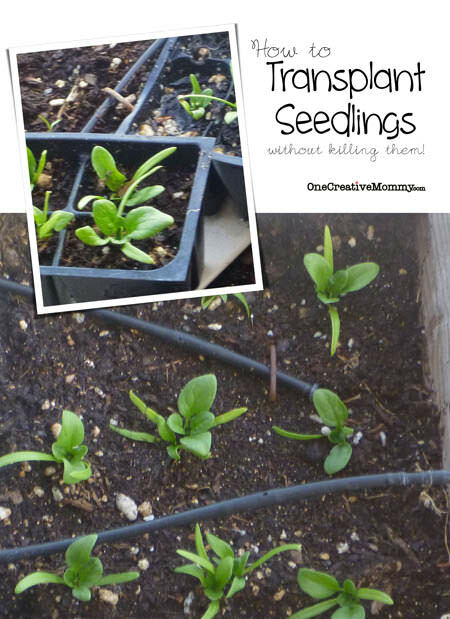 Transplant plant into the garden. Watch plant die a few days later. 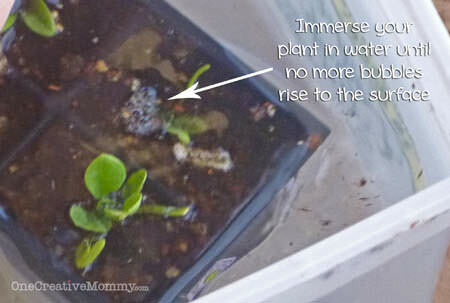 Turn the pot upside down and carefully dump the plant into your hand. DO NOT pull on the plant to get it out. Instead, gently shake or squeeze the pot from the bottom. Gently place the seedling in the hole and fill it in with dirt. DO NOT pack the soil super tightly. 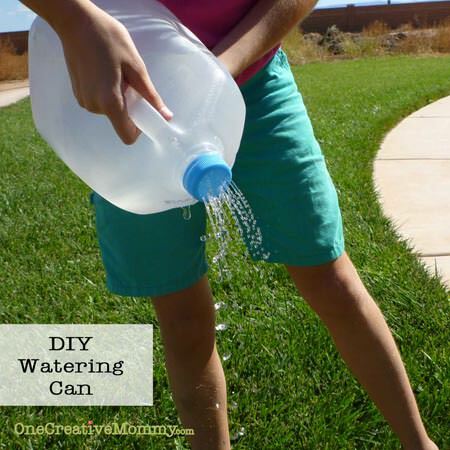 Add another spray of water, and you’re done! Sit back and enjoy the garden! 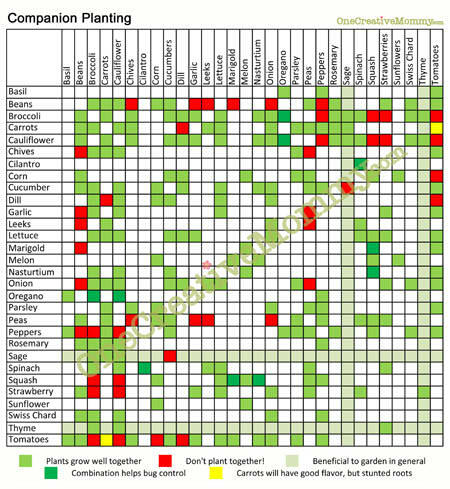 Companion Planting–What Plants Work Well Together in the Garden? Thanks for stopping by! I hope you’ll come back when you’re done working in the yard! Great tips. I like to start my tomato and zuchinni plants as seedlings and transplant. The major struggle with that is the squirrels like to dig them up! That must be so frustrating, Kalyn! I just finished putting netting around my strawberries because the birds were getting every single one. Too bad netting wouldn’t work for squirrels! How about a chicken wire box? (I wanted to try that, but it costs $50 for a bale of chicken wire! Crazy. Good luck. We did buy a roll of caged wire to make a little box for it, it did help – I don’t think it was near $50 though, because it was a small roll. Did you manage to find a deal on the wire somewhere? I’d love to find some for a little less money! Hey Heidi, great post! I’m so glad I found you at Waste Not Want Not Wednesday. I usually go from “buy plants” to “watch plants die” I’ve pinned this in case this latest batch survives. Great tips! Thanks! I’ve had many a plant die a few days later, so hopefully this will help. Thanks so much for linking up at the Real Family Fun link party! Hope to see you next week. What great tips Heidi. Thanks I need all the help I can get in the garden. Thanks for sharing at Transformed Tuesday. Great tips, Heidi! Thank you so much for sharing at last week’s All My Bloggy Friends :) I can’t wait to see what you share this week! Great tips, Heidi! I’m featuring this tonight on Waste Not Want Not Wednesday (I’ve been a bit behind these past two weeks :( ) Thanks for sharing! These are some great tips! Thanks for linking up with Hump Day Happenings. See you next week! I really want to start a garden once I have the space. Thanks for the tips! How did you know I was looking for information like this? The past couple years I have started plants inside to have them die on me not too long after transplanting them. 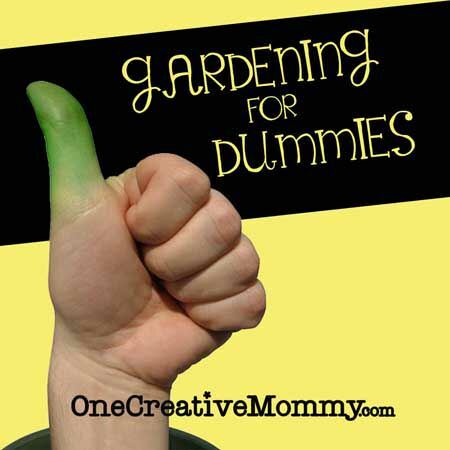 I love this info and I copied it to keep for when it is time to plant outside. Thanks so much! I would love if you would share this at Celebrate It, Blog Link Party! It opens on Thursday at 9pm and runs through Monday at midnight. Thanks again! So glad I could help, Teri! Happy gardening! It’s spring in my area, and I just transplanted my first plants this weekend. Yipee! I’ll try to remember to pop over to your party tomorrow.